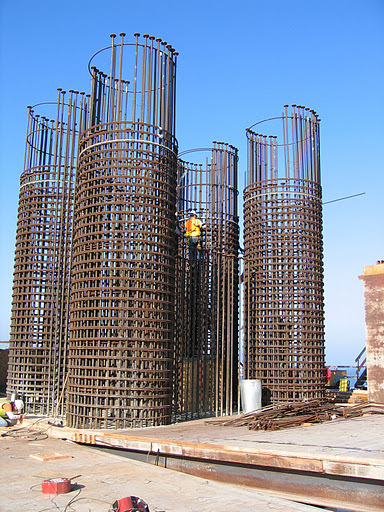 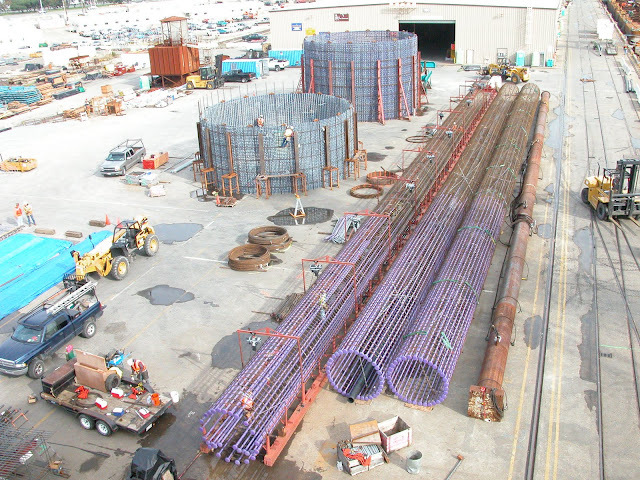 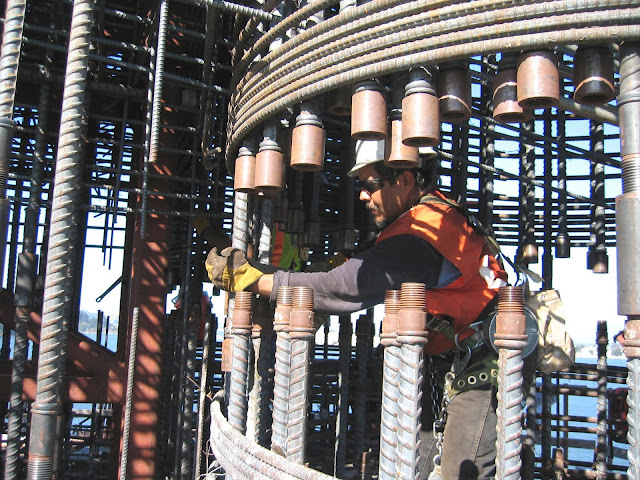 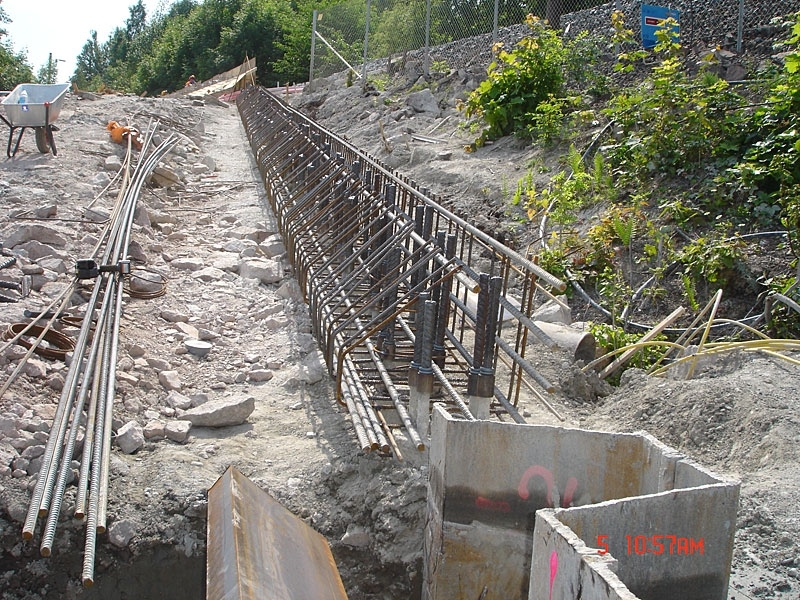 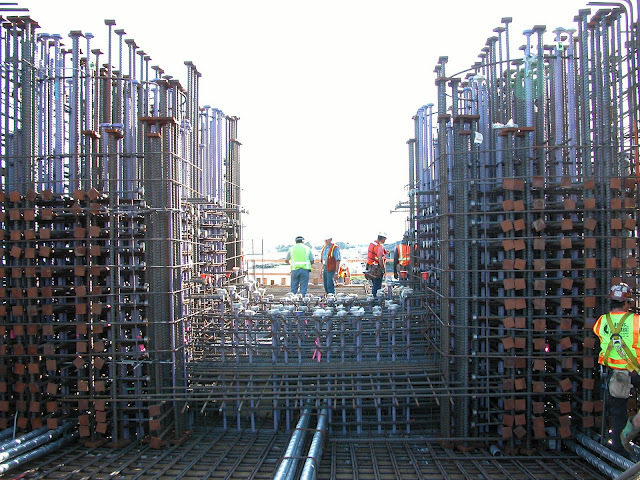 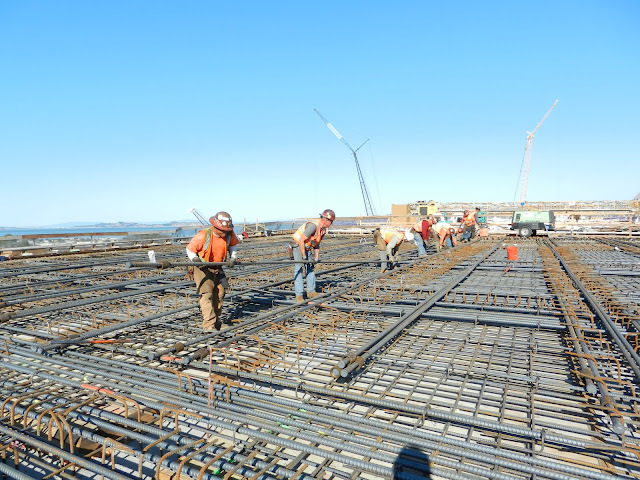 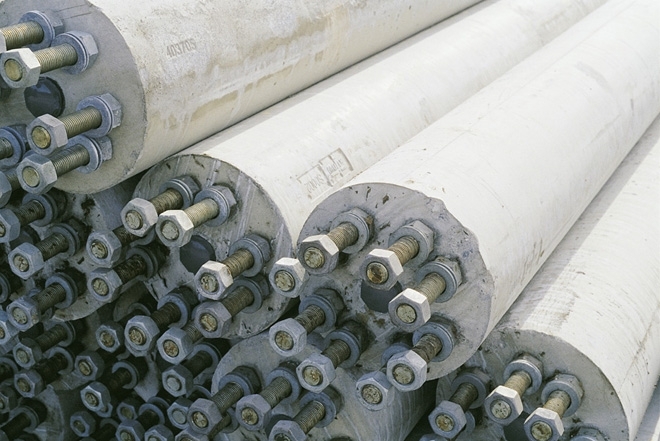 Concrete Piles - Headed Reinforcement Corp. 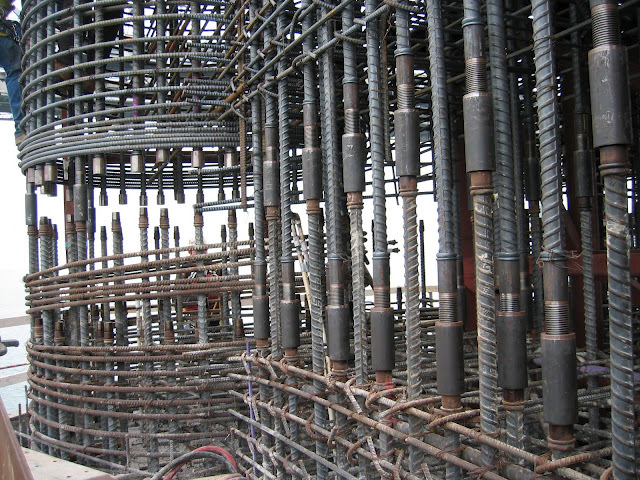 Conventional 90 degree hooked bar directs anchorage force away from the joint, thus creating additional tensile forces inside. 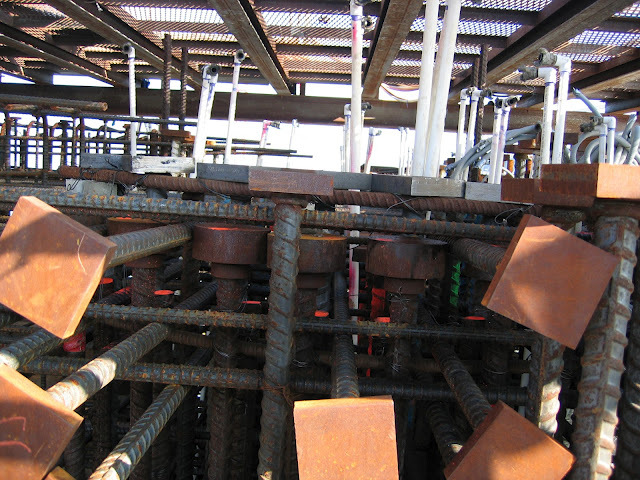 The 90 degree hooked bars result into unacceptable joint congestion. 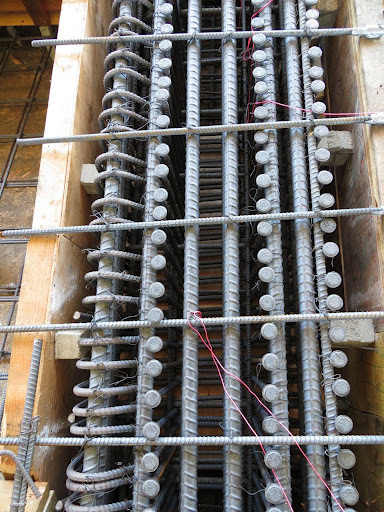 In many cases, hooked bars interfere with reinforcing steel bar placement. 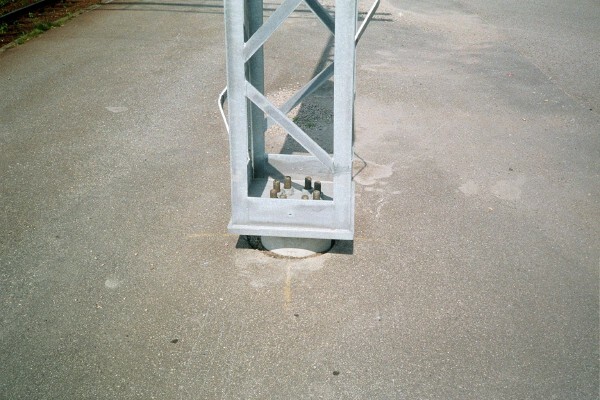 Beam/slab depth is often inadequate to develop full column bar anchorage. 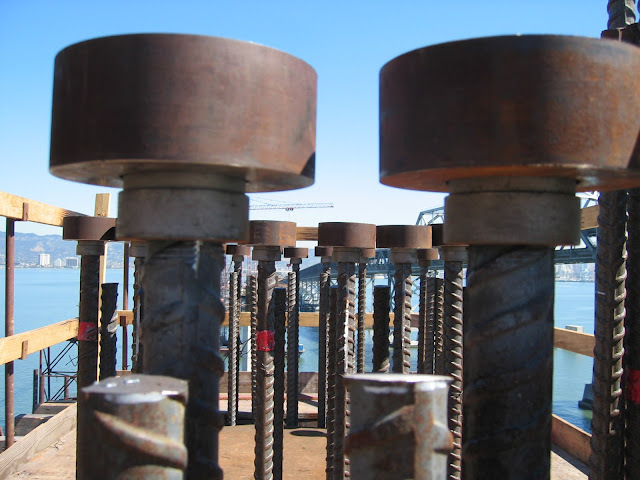 Headed bars ensure full column bar anchorage by engaging the top mat of beam and/or slab. 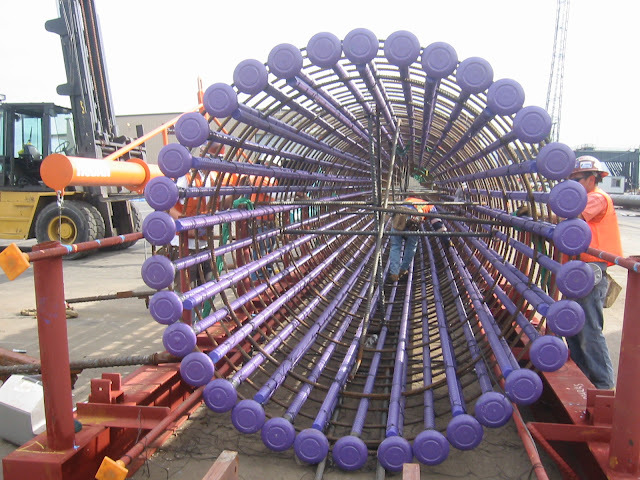 Headed reinforcing bars relieve joint congestions. 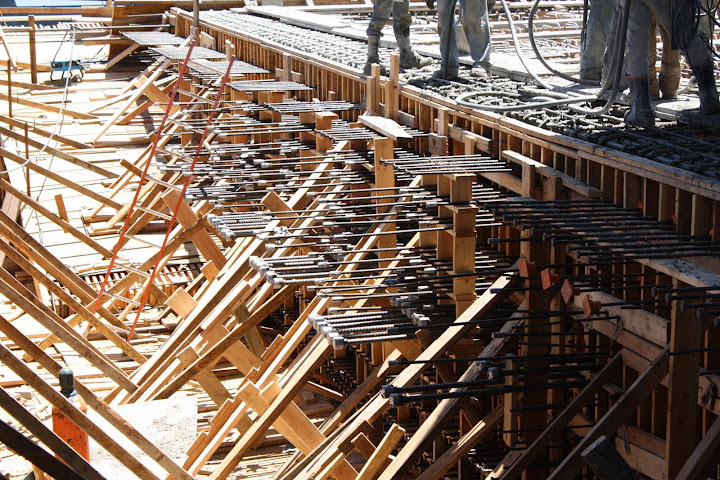 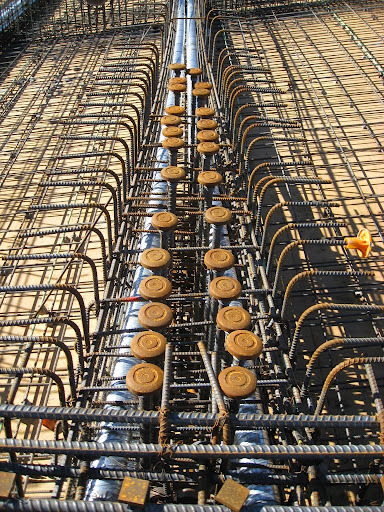 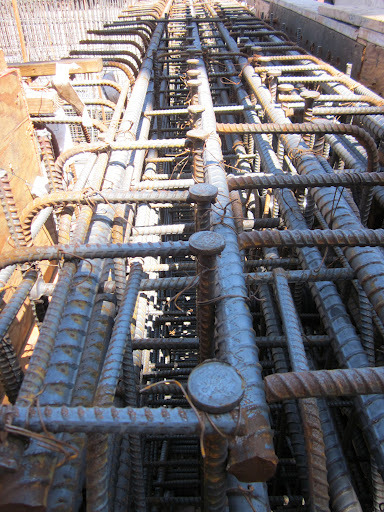 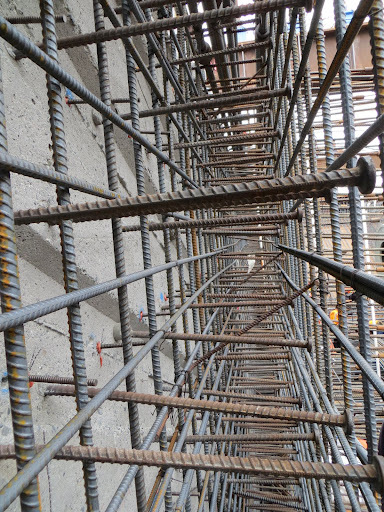 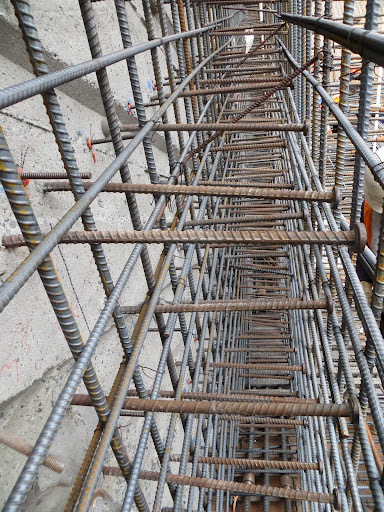 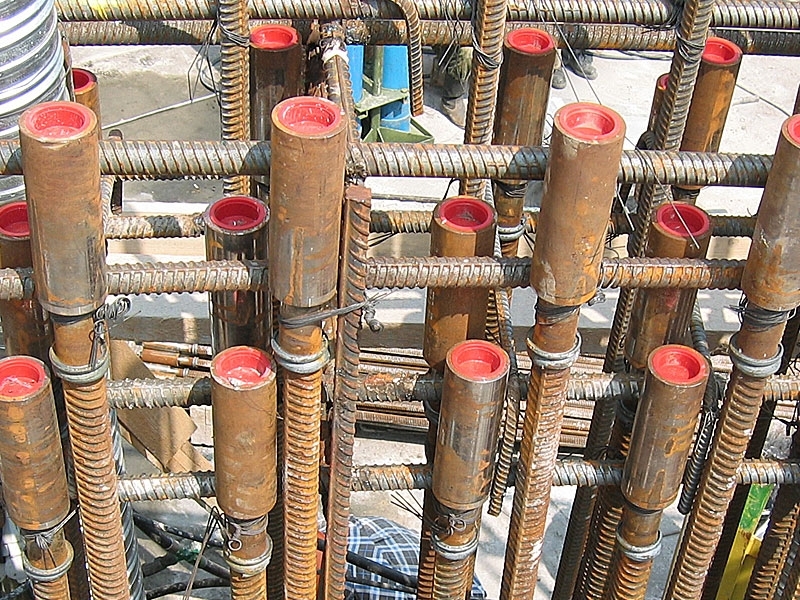 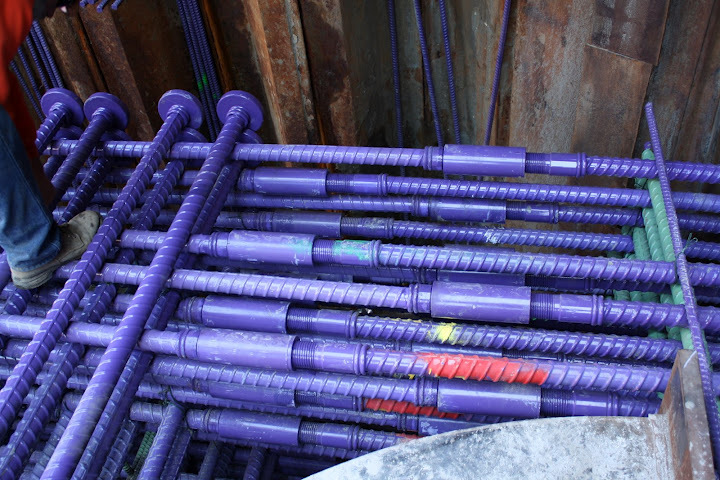 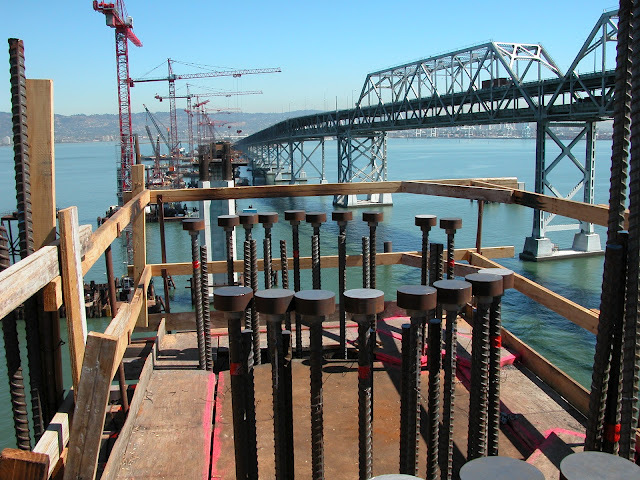 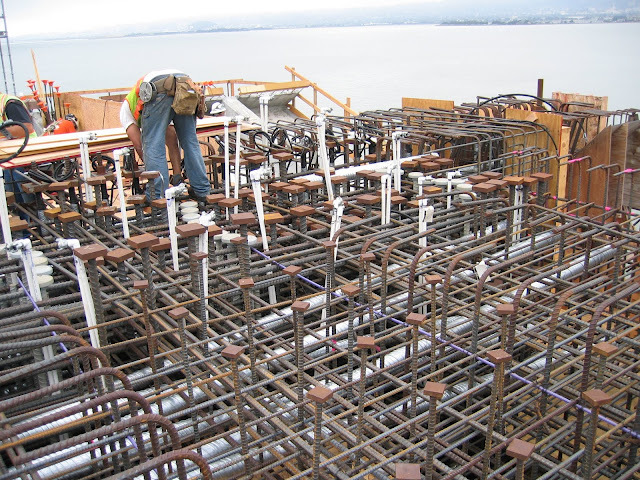 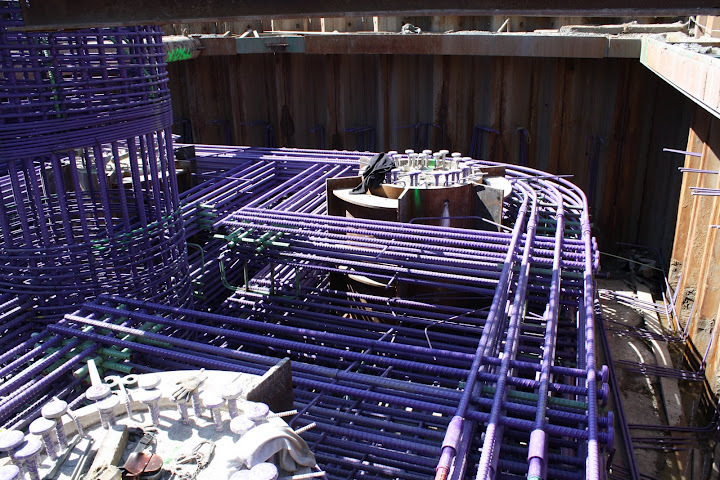 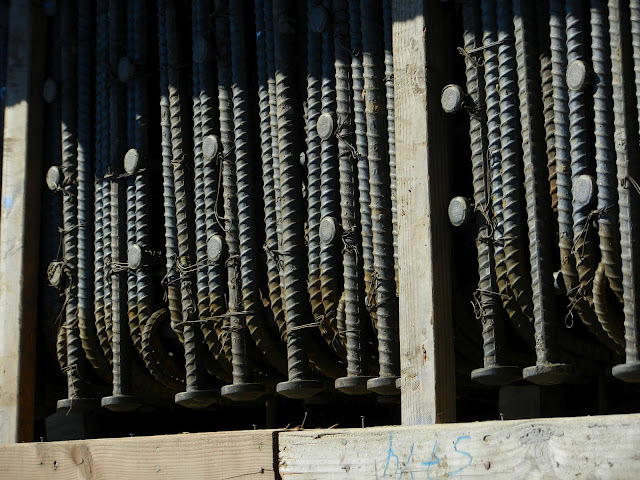 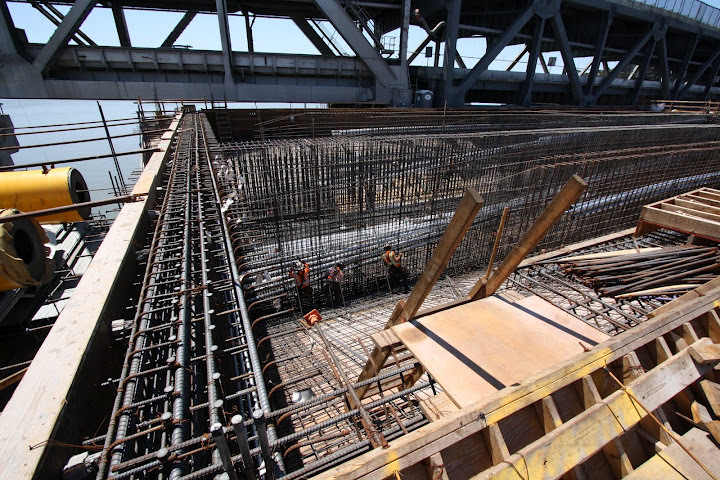 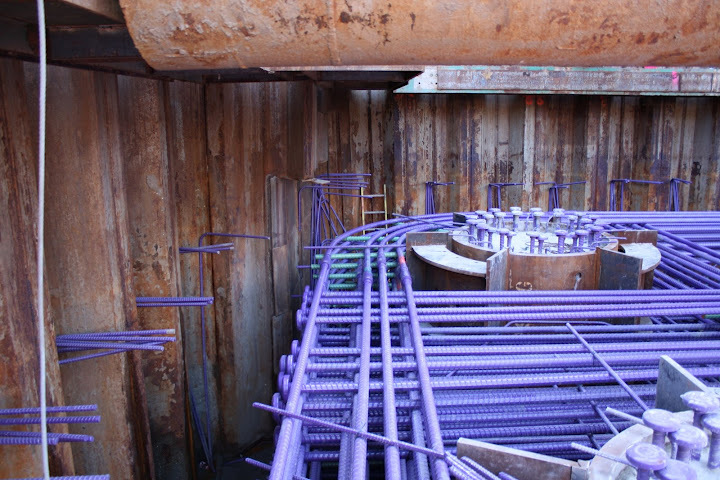 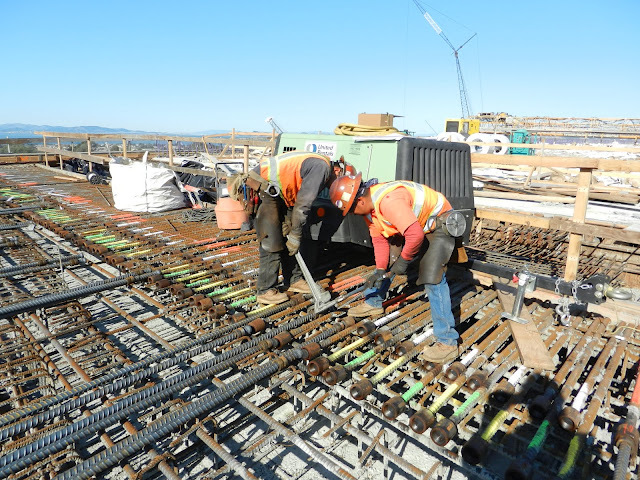 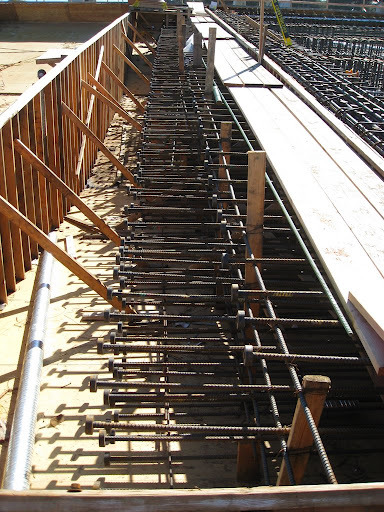 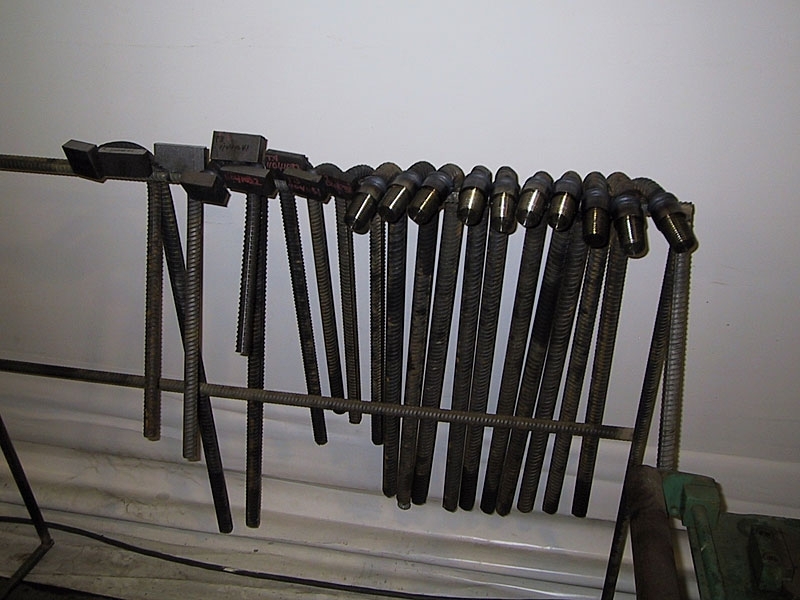 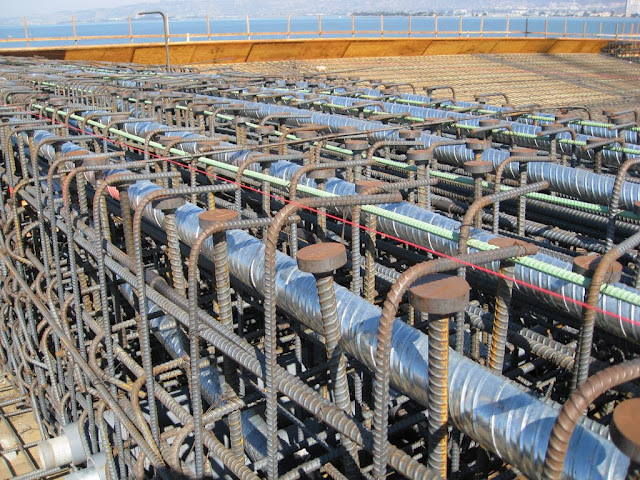 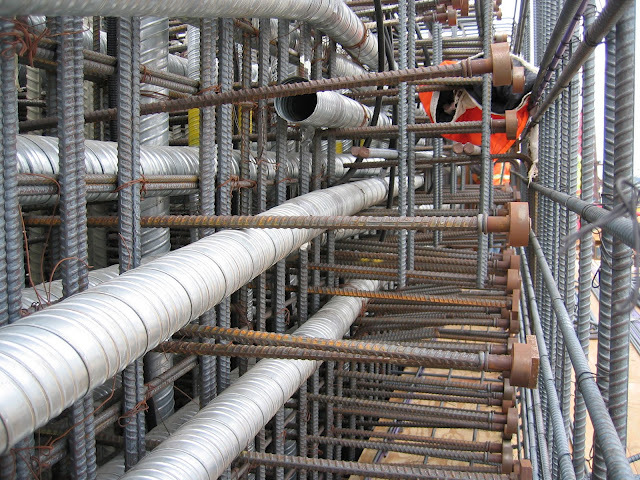 With headed bars, mat reinforcing steel bars can be placed at the right location and position. 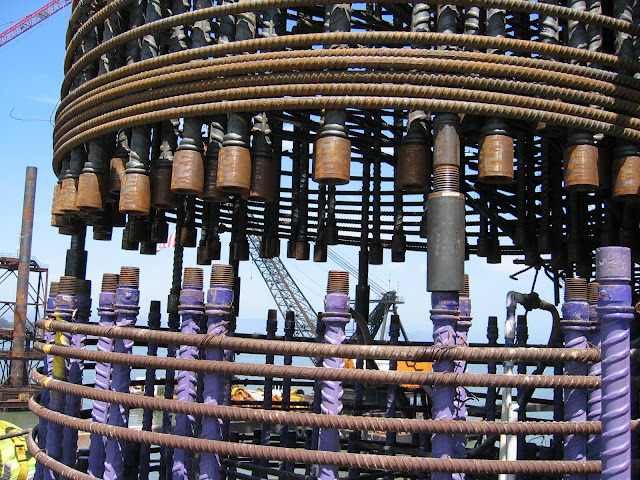 The concentrated anchorage of Headed Bars allow the ultimate tensile force of the pile to be anchored immediately underneath the head.